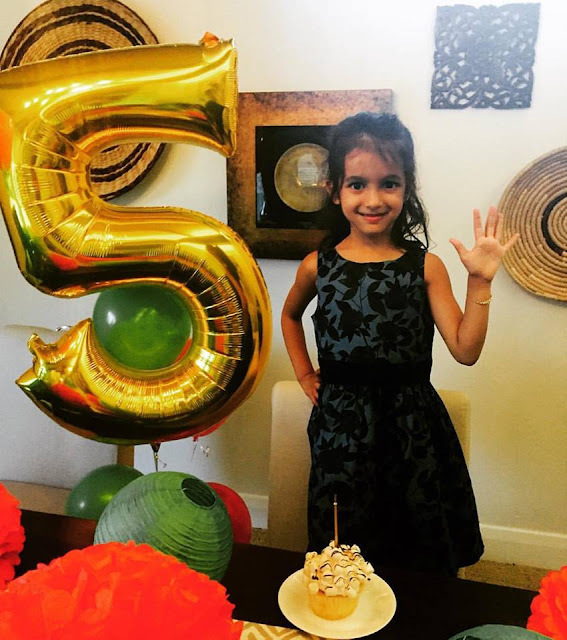 I totally forgot to do my usual birthday questions for my newly minted five year old and of course girlie loves a good interview... see kids behind the blog. Sooo... a full month after her birthday....here we go. A cash register with little pay things that you pay up for stuff. When he comes to bed with us. An ice cream truck maker. Life is never dull with this little one around that's for sure! Aww I had a a cash register toy as a kid that I LOOOVED. She tool me back with that answer. What a smart kiddo and shes so cute! Awww, I loved my cash register as a kid too! Man pretending I was a cashier was my favorite. That and playing restaurant. Love all of her answers!